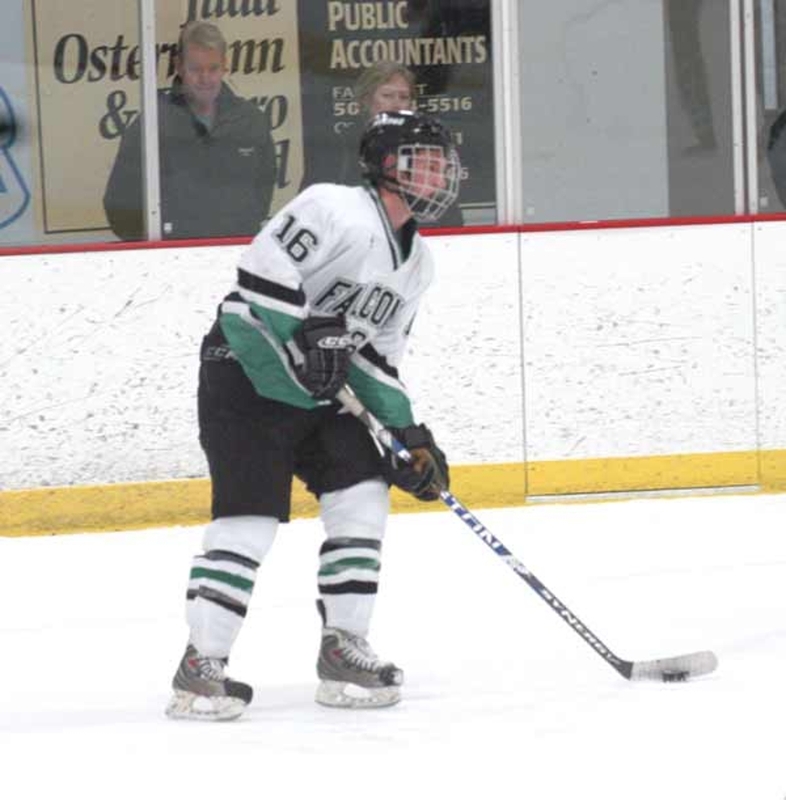 FARIBAULT — A late power-play goal on a two-man advantage by Tartan’s Mitch Rowe helped ice a hard-fought game against the Faribault High School boys hockey team and handed the Titans a 3-1 win Tuesday at the Faribault Ice Arena. Stemming from a boarding call on senior Bo Putrah and a subsequent bench minor with less than three minutes to play, the Falcons found themselves in a 5-on-3 situation down 2-1. The result was Rowe’s second goal and Faribault’s first loss of the season. Tartan, who is ranked No. 20 in the Class AA Let’s Play Hockey polls compared to Faribault’s No. 10 ranking in Class A, simply found a way to contain the Falcons throughout despite being outshot 27-26 in the game. After Rowe scored to give Tartan (4-2) a 1-0 lead five minutes into the first, Falcons senior Bo Putrah tied the score thanks to a goal at 15:23 later that period. Senior defenseman Nick Murray notched the assist. But Tartan took the lead back in the second period, and thanks to the late-third period goal the Falcons couldn’t recover. FHS senior goalie Wyatt Andreas, playing in his first game since Faribault’s overtime loss to Rochester Lourdes in last year’s section tournament, made 23 saves on the night. The Falcons (5-1) will next play Owatonna at home on Thursday with hopes of using what it learned in this loss to beat their Big 9 Conference rivals.